!!!! !RARE WHITE ON CARAMEL INTERIOR, VERY WELL MAINTAINED, DOCUMENTED SERVICE HISTORY, RUNS AND DRIVES GREAT, NO ISSUES, VERY CLEAN INSIDE OUT, CLEAN TITLE, NO ACCIDENTS, CURRENT EMISSIONS, CASH SALE PRICE!!!! 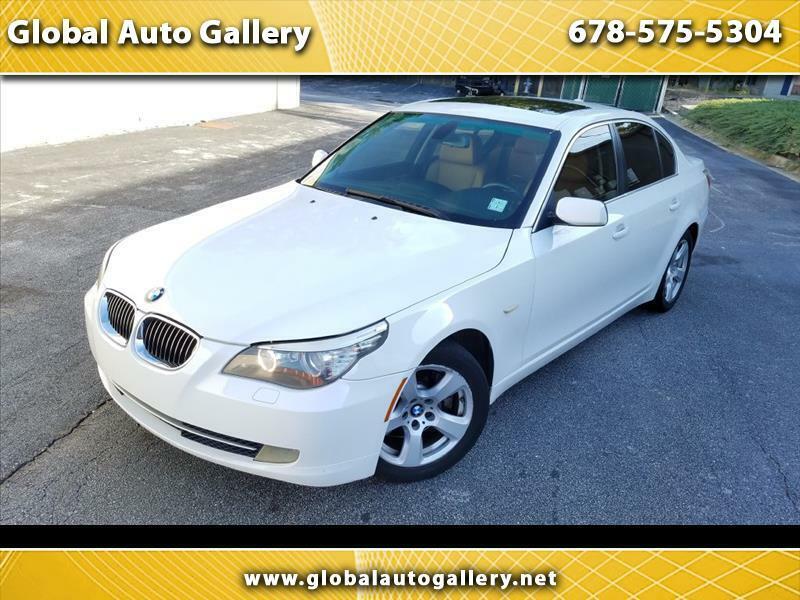 Available at Global Auto Gallery is this 2008 BMW 535i in very sought after While on Caramel combo. The vehicle has been serviced regularly by BMW, and it reflects the current condition it is in. The engine is smooth, make all right sounds, no leaks, no funny noises, and is strong. Transmission shift perfectly through all gears. Tires have good life left on them. Exterior is very clean, no major dents, ding or scratches. Interior is in excellent shape, all the features work on it as they should. Vehicle is absolute blast to drive. Price to sell. NO HAGGLE CASH SALE PRICE. !! !PLEASE CALL AHEAD OF TIME TO SCHEDULE A TIME TO SEE THE VEHICLE. ALL MAJOR CREDIT CARDS ACCEPTED. TRADE IN'S WELCOME!!! Message: Thought you might be interested in this 2008 BMW 5-Series.